Most people love clothing. The garments you wear can say an awful lot about you. Or, they can be used to hide exactly who you really are. Along with this, clothing gives you the chance to express your mood and feelings. And, it can even be used to express a strong opinion. Unfortunately, though, far too few people actually get to fill their wardrobe with clothing that they love. This is a shame because it doesn’t have to be this way. To help you out in this area, this post will be going through some of the best ways to get the clothing you love; without breaking the bank. For years, companies have been off-loading their misprints and damaged goods to companies like TJ Maxx. Outlet stores like this always have a huge selection of clothing. And, some of it is from the best designers out there. Of course, when you get clothing from somewhere like this; you have to do some searching. You can’t get away with simply visiting once. Instead, you should go season-by-season, to find the new items they have on their shelves. Along with the regular savings you find in these places; you can make them even cheaper. Getting your hands on a TJ Maxx coupon code could save you some real money on their already well-priced clothing. This sort of method is a great way to get last season’s classics at a reduced price. But, of course, you will have to do some digging before you get to the items that you really like. Next on this list comes thrift stores. These places can be bounties of cheap designer clothing. And, these items often go unnoticed by the regular customers. A lot of thrift stores rely on house clearances and other services to get their clothing. So, they won’t always have a good idea of what they are putting on the shelf. This gives you a great chance to find some incredible bargains. Along with this, these sorts of stores will often be supporting a charity of some kind. This means that your cheap clothing purchases will actually be helping a good cause. Not just filling the pockets of someone who is already wealthy. Of course, thrift stores aren’t the only places that sell cheap clothing. In fact, in recent years, loads of businesses have started up with the sole purpose of helping people to sell their secondhand clothing. Apps like Depop have had huge success. But, of course, like thrift and outlet stores; you’ll have to do some work to find the best options. The issues with these sorts of sites are the variety they have and the limited search capabilities you can use to find them. This means that you often have to go through hundreds of items before you can get exactly what you want. But, it’s not all bad; they’ll be a lot cheaper than new options. Hopefully, this will give you a good idea of what needs to be done if you want to start saving some money on your clothing. Nothing that’s worth doing is easy. And, this is very much worth doing. So, you can expect it to be quite the challenge. Before you start booking your hairstylist, you need to decide if you are planning on wearing a veil or a tiara. These are both placed in your hair, but your hairstylist can usually do that for you. Tiaras look beautiful with up-dos as well as extended curls. Veils, however, can obscure the beauty of more elaborate hairdressing. Don’t be afraid to choose a new color, or to cut especially for your big day. The photos will last forever. White or ivory? Neither are essential. Be bold and choose a style and color that best suits your personality. Many brides coordinate what they’re wearing with their husband’s suit. This is quite tricky to do if you’re superstitious and don’t want him to get a peek at the dress! You can always take a photo of it to take along to his fitting. Your hands are one of the most important parts of the wedding. Diamond engagement rings always look incredible in the before-photos, so make sure yours is a good one! Leave it on for the ceremony so everyone can admire the two rings together. Some ring designers offer bands as well as engagement rings, so why not try to get a matching set? Nails should be modest and not too showy – the rings are the stars of the day! On the day, you might want to be able to dress quickly so you can get on with relaxing. Perhaps you have an early ceremony booked? 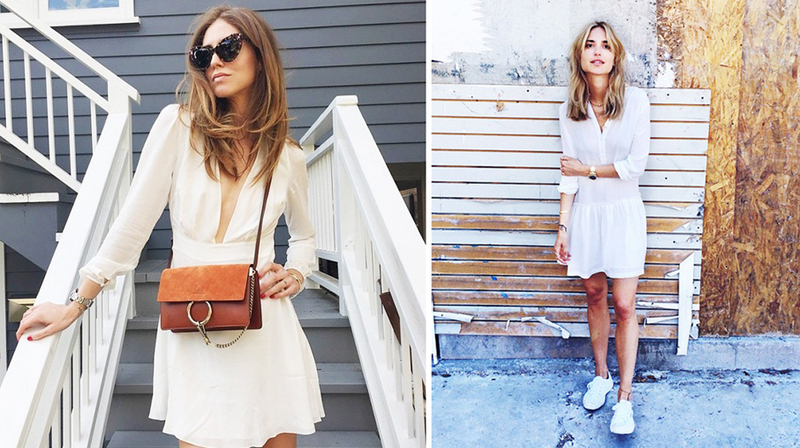 Minimalist styles will always be easier for self-dressing if you’re feeling shy on the day. And no, you don’t have to wear your bridal lingerie under the wedding dress. Pick something that’s comfortable and enhances your shape. Save the rest for later. One of the biggest worries and biggest challenges of the day for a bride is getting ‘that’ dress in and out of the wedding car. If you’ve chosen a horse and carriage, you may have to deal with steps too! Footwear is key. If you have a long dress and train, you can get away with wearing any footwear you like. If you’re in heels, ask your bridesmaid to help with the dress and your balance! Your wedding is going to be the most beautiful day ever. So relax, take a breath, and enjoy. 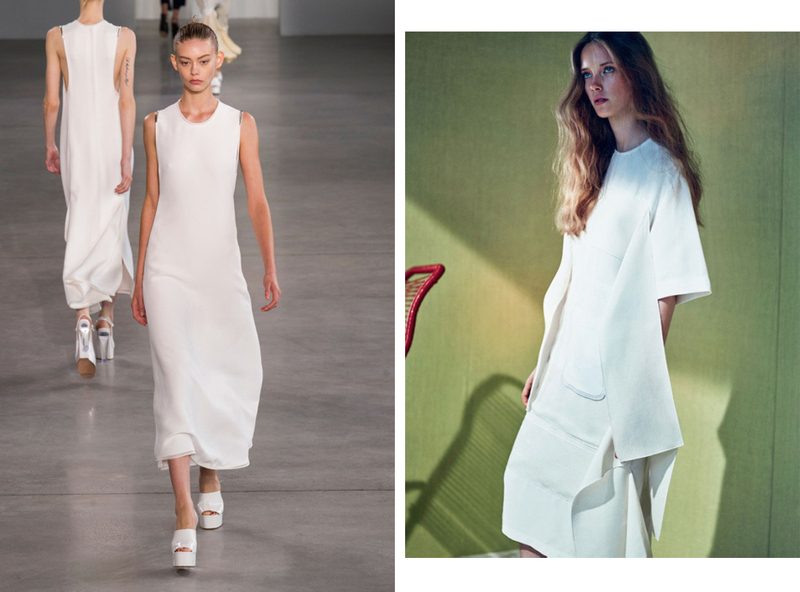 It seems like everywhere we look at the moment, the minimalist trend is lurking. This is a style that has crept into public consciousness slowly over the last couple of years and saw a huge flourish in mid 2016. Now, over half a year on, this style shows no sign of going away. Minimalism, in general, is described as a style which mainly comprises of pared-down design elements – anything considered to be ‘excess’ is simply removed. Some people class themselves as minimalists full stop, going way beyond simply enjoying the style and applying the philosophy to their whole lives. This can mean that they live in a very simple way – perhaps with only a few items of clothing, the bare minimum in their kitchen cupboards and of course, absolutely no mess or clutter clogging up their homes. While this is a way of life that many people do choose to go down, it is something that requires a lot of dedication and in some cases a complete lifestyle overhaul. So, with that in mind, it’s not a problem if full-scale minimalism isn’t for you. However, there’s nothing to stop you experimenting with the style when it comes to your fashion sense. 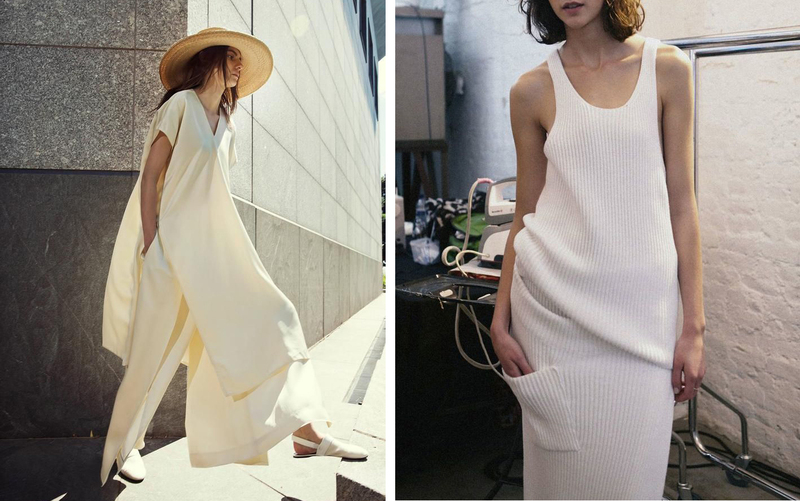 Minimalism is a great style to adopt partially because it’s so wearable; with muted tones and classic cuts, once you have a few items in your closet you already have a fairly established set of outfits to choose from! 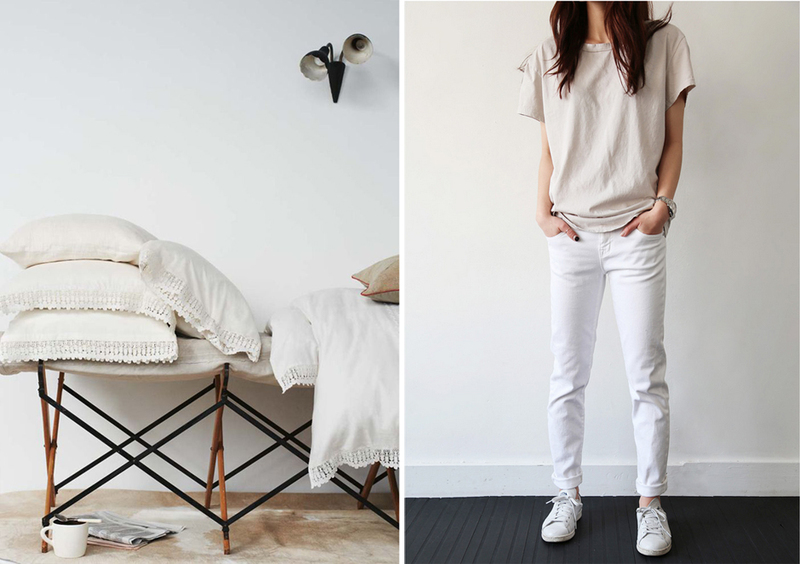 Here are some tips on embracing a fresh, minimalist style. The first step to creating a minimalist wardrobe is to go through your whole closet ruthlessly. Yep, we mean ruthlessly! Take stock of everything you own and separate it all into piles: what you definitely want to keep, what just needs throwing out and what you can donate to charity. Of course, there will be some things you want to keep that don’t specifically fit the mold of a typical minimalist wardrobe, such as block colors and prints. But take into account what you could still work around. For example, a royal blue shirt could still be minimalist if paired with a pair of white tailored trousers and a white blazer. But slogan shirts or anything with a multi-colored pattern doesn’t really tend to fit the vibe. Write down how many grey/black/white pieces you already own and what they are, as these pieces are what you will build your new look around. Look at them as the foundations of an outfit – just as a house needs stable foundations, you also need a base to work with! You may wonder how it is possible to craft a whole new look for yourself without buying a ton of new clothes. 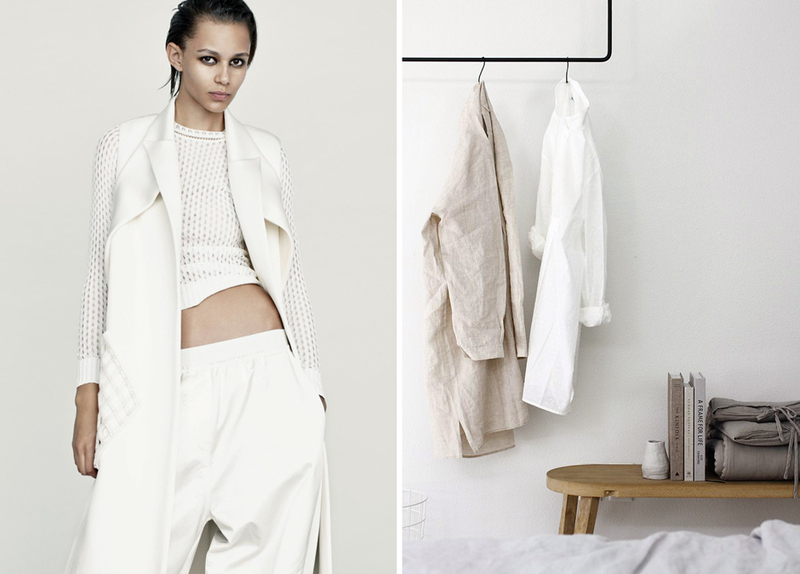 But one important aspect of the minimalist trend is spending your money on quality, rather than quantity. The minimalist ethos is all about investment rather than splurging, so be mindful of what you are purchasing and where you are purchasing it. Do you find yourself heading towards cheaper stores on a day out at the mall? There’s nothing wrong with that, of course. But if the clothes you buy from such places only last you a couple of months before they fade or break, you may want to consider parting with a little more cash on a higher-quality piece of clothing. 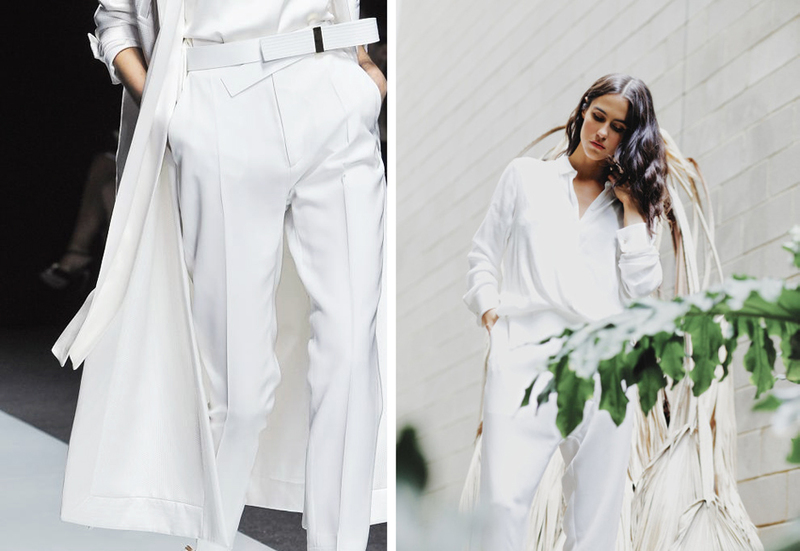 Make sure you look for tailored pieces when crafting a chic, minimalist look, as this will automatically make it look more expensive, and gives you a timeless silhouette. 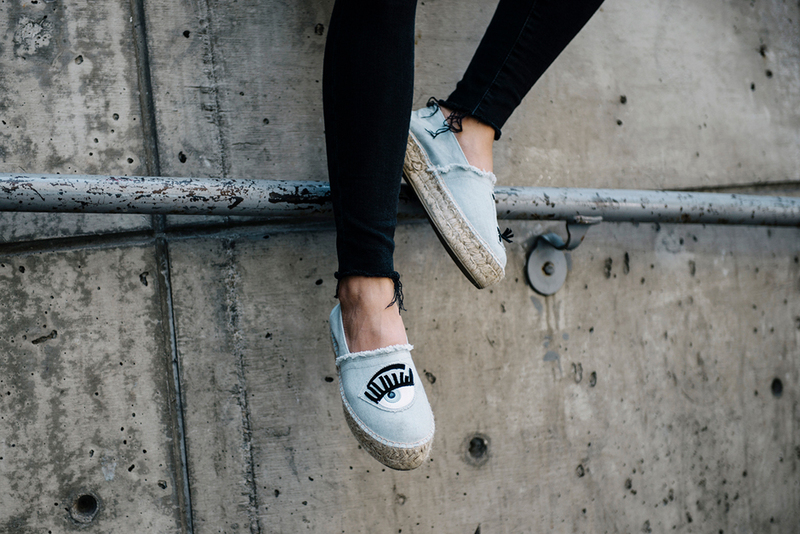 Accessorizing a minimalist look means stepping into dangerous territory. On paper, you would think that accessories are a no-go full stop in a minimalist look, because they add interest and ‘fuss’ to an outfit. But, providing you do it with care, there is no reason why you can’t accessories a simple style without the accessories taking over. After all, some accessories are simply integral to our everyday lives, such as womens bags. 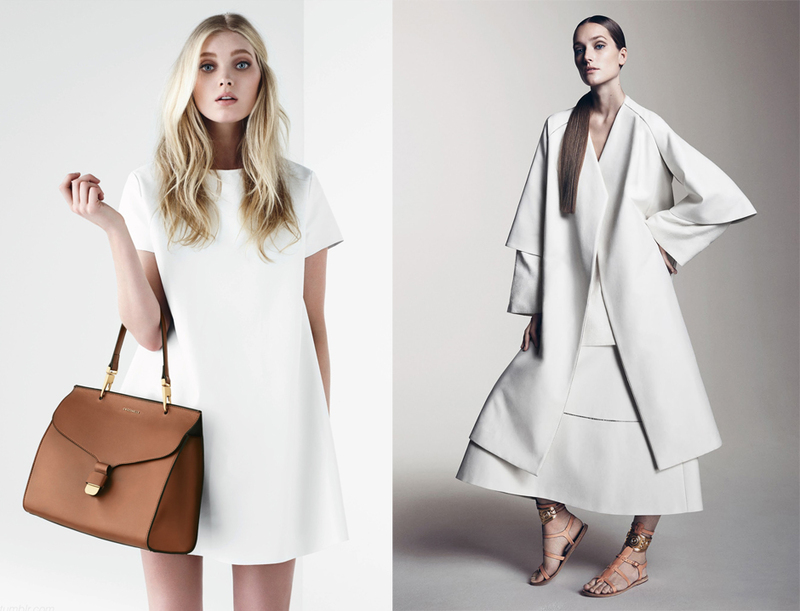 When choosing a handbag or purse for everyday use, take into account your minimalist style. Typically, the rule is to stick with black, brown or grey depending on what shade you normally wear – remember, if you are using your bag every day it will need to compliment everything else you are wearing. In terms of jewelry, the phrase ‘less is more’ comes to mind. Going jewelry-free isn’t a must, as a little bit of sparkle here and there can be the thing that ties the minimalist look together. But going overboard can certainly detract from the look as a whole, so only wear one or two pieces at any given time. A simple set of earrings is usually a good bet – something chic such as diamond studs or teardrop earrings. You can sometimes get away with a statement necklace as part of a minimalist outfit, but if you’re going for a big necklace, keep all other jewelry to a minimum. 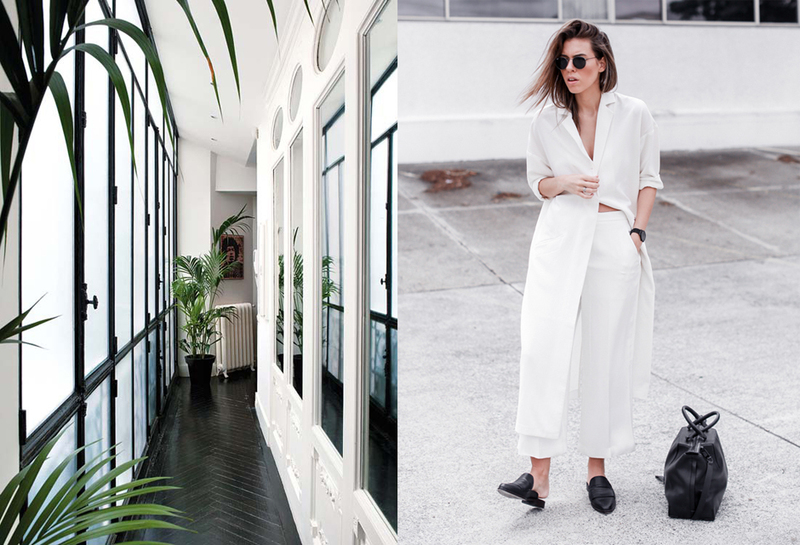 Even though minimalism has been a recent trend in itself, this kind of chic style of dressing has actually been around for years. It’s what Parisian women have been famous for for decades, and this look has also graced the street of other fashion capitals such as Milan. It’s other trends you need to watch out for, as they may distract you from your cool and classy style. If you do love a new trend, there’s nothing at all wrong with getting your hands on a couple of new pieces from a collection that really grabs you. But always bear in mind that trends come and go every season, meaning that soon the piece you love so much could easily be regarded as old hat. Use minimalism as a basis for your daily outfits and then interject a few other trends into that as and when you please. But remember, minimalism is a style, and style never goes out of fashion. Like most ladies, I love to go shopping, but I’m forever shuddering at the prices. So I’ve developed some great methods to save myself valuable pennies when I go shopping. Check them out and try to put them into practice yourself. My first piece of advice to you would be to always make sure you set a budget. I do this before I even leave the house. I sit down and decide what I want to buy. And it doesn’t matter if I’m getting shoes for this summer or a coat for the coming winter. I always make sure I set a budget. This means I know exactly what I can spend, and how much I have to play with. By not setting a budget you’re going to end up overspending and coming home with bags of things you don’t need. Believe me, I’ve done it! I can’t stress this enough ladies – always make sure you shop the sales. There will always be sales on no matter what time of year it is. And a lot of the time you’re going to find that you can get really great bargains by using the sales. You might even think about buying stuff off-season as I sometimes do. For instance, as we move into winter some stores will start to put their summer stock on sale to get rid of it. This is the perfect opportunity to buy some bits for next year at knockdown prices. But I’m sure there will be current seasonal stuff on sale as well. These days it seems like there are vouchers and coupons that can be used for anything. And this is great because it means that there are money saving opportunities out there. It’s just a case of us finding them. Now, I like go online and check out the range of vouchers that are on offer. Click here and you can browse them yourself. There’s no good reason to not make use of vouchers nowadays. These are essentially free discounts that are just lying there waiting to be used. And the stigma surrounding discount vouchers is no longer around these days. I always make sure I have plenty of vouchers with me whenever I go shopping, and you should do the same. Okay, before you turn your nose up at me I should tell you that charity shops are a gold mine! So many of us ladies look down on the idea of shopping in charity shops. But you need to try to get past this opinion. I used to be the same, but I have discovered that charity shops are an untapped resource. Sure, you’re not going to find anything nice in most of these places. But there will be one of two things you might find that you really like. Experience tells me that we’re going to end up paying much less for charity shop garments. So don’t you dare discount charity shops as a way of saving money! We all love to go shopping; as women it’s in our DNA. But the problem is money is so much tighter these days. And a lot of clothes seem to be getting more expensive. So we’ve always got to look for new and improved ways to save money when we shop. I’ve listed mine here for you, so try them out and let me know how you get on. It’s officially swimsuit season, and many women have already been shopping for the swimsuit that will most flatter their bodies. For many women, this process isn’t difficult, and is actually enjoyable. They are able to find a swimsuit at the closest mall that not only flatters their body, but also fits their style. For a plus-size woman, the process of shopping for and buying a swimsuit can be a little more difficult. Despite a plethora of clothing and swimwear stores at your local mall, many of these retailers do not have a plus-size section. If a department store does have a plus-size section, the selection there can often be very disappointing. Finding a plus-size swimsuit is difficult, and finding one that is cute and trendy, as well as flattering, can be even more of a challenge. In a world that values women with small waists, many stores do not feel the need to carry plus-size sections, let alone plus-size swimsuits — a fact that is insulting to women with beautiful plus-size bodies. If, by some miracle, a store does carry plus-size swimsuits, the patterns are old fashioned and the styles are unflattering. Simply put, a fruitless search from store to store in a mall or big box plaza will likely end in disappointment. Shopping online for plus-size swimsuits can be much more satisfying. Shopping online opens many new windows of opportunity for a plus-size woman. Free from the confines of a traditional physical retailer, online shopping offers a much wider array of plus-size styles and selections often not available in regular stores. Other retailers only have a few exclusive locations that are not easily accessible to many women that do not live near a local mall or shopping complex, but when a plus-size woman shops online, the options are nearly endless, from outlets specializing in reduced-price designer brands to boutique stores that cater specifically to plus-size customers. One of the difficulties faced by plus-size women when shopping for swimsuits is finding a suit that flatters their body. Often, this is due to a lack of knowledge about what will help flatter a woman’s best features, as well as what will help disguise the areas she feels are problematic. One major suggestion that will helpyou if you are a plus-size women is this — start by assessingyour body type, and find styles that flatter that particular body type. Luckily there are a number of online stores like swimsuitsforallthat can help a woman assess which type of suit best fits her body. Whether you’re looking for bikinis, separates, swimdresses, a one piece, a tankini, or any other plus-size suit, you should always check online to identify which kind of suit will most flatter your body type. Once you have identified which swimsuit will most accentuate your curves and flatter your body type, take a look at women’s plus sized swimsuits from swimsuitsforall.com and toss your worries away. Now you are ready to start shopping for a fabulous new swimsuit for the summer—without all the hassle. 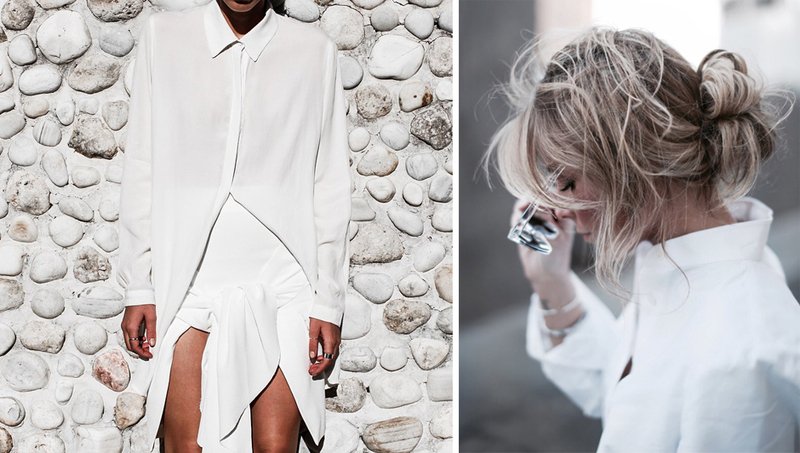 All trends aside what could be a better way to celebrate summer than wearing whites? This summer I’m leaning towards a cleaner look and except for cutting my hair I also want to gather a small collection of white garments to combine into total white looks. Right now I’m craving a peasant dress and a pair of flared jeans, though who knows if I’ll be able to stop there? 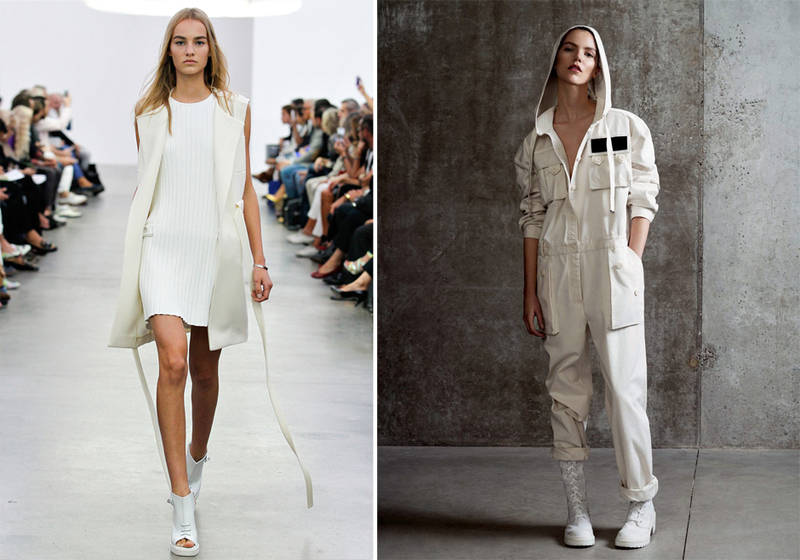 I absolutely love how the fashion trends are leaning more towards comfortable shoes these last couple of years. When it comes to dressing for the hot days – the last thing you want to wear is uncomfortable shoes so I’ve taken care of that.